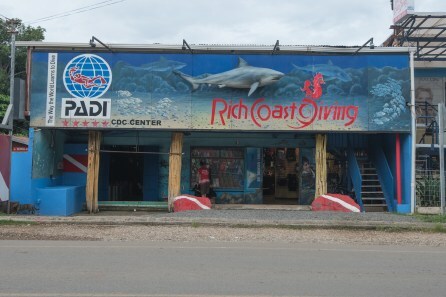 I chose to start my journey as a dive professional at Rich Coast Diving, Costa Rica. During the course of my 3-month internship I was able to gain a wealth of valuable experience in many different aspects of being a dive professional. These included proper gear care, compressor use, retail work and dive planning and logistics. I also had the opportunity to assist with and observe a variety of courses being run by Platinum Course Director Martin Van Gestel. Upon completing my Divemaster, I decided to stay on and enrol in the IDC, eventually passing my IE in March 2016 in Quepos, Costa Rica. My time with Rich Coast gave me an incredible insight into how to run a successful, busy dive centre, and gave me the best possible introduction to what it takes to be an instructor.